If Epic is looking to win back lost Gears of War 2 players, then it's going about it the right way. The company has released the laundry list of changes coming in Title Update 3, and we have to say a majority of them look nice on paper, but we'll have to wait and see if they can be properly executed before we pass judgment. Find the full list after the break. Epic isn't stopping there, as the development studio also dropped information on something else Gears fans have been waiting for: a price for the new Snowblind map pack. As expected, it will cost you a cool 800 ($10) when it releases on March 31, just as the Combustible maps did. 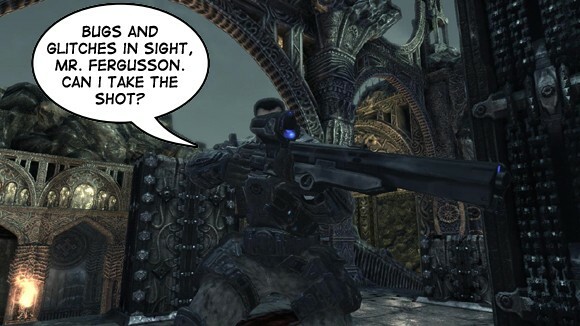 Epic details next Gears 2 update, Snowblind to cost 800 MS Points originally appeared on Joystiq on Mon, 23 Mar 2009 10:46:00 EST. Please see our terms for use of feeds. March 23, 2009 by Ben Pike.